Discussion in 'DIY & MYOG' started by Gadget, Jan 19, 2016. Snowonher, Mole, FOX160 and 3 others like this. 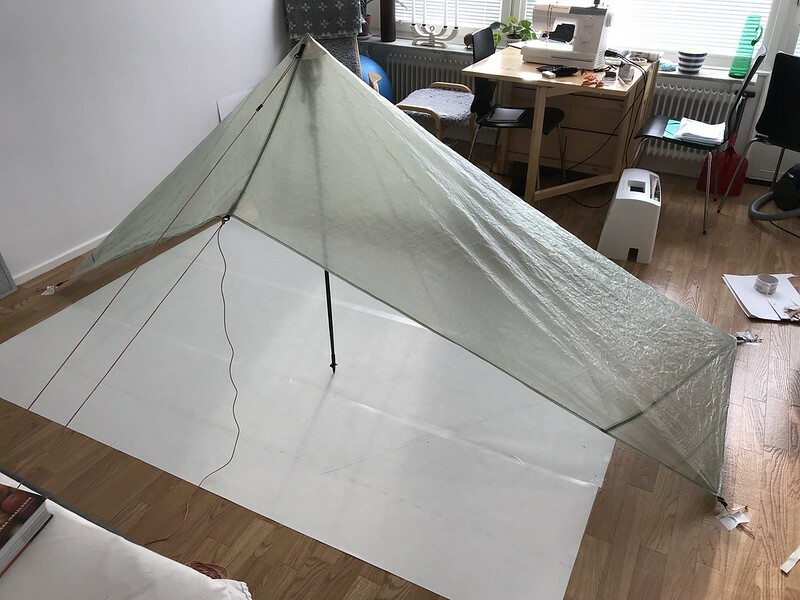 Hexamid/tramplite style dcf tarp. Overall happy with it, too snowy outside to do a real test pitch so a bit difficult to assess how tight it will pitch though. 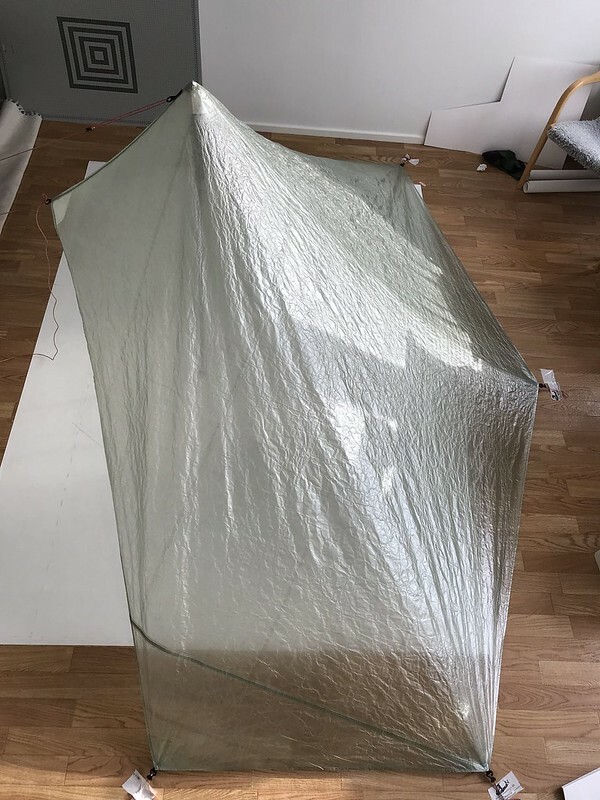 Plan is for it to be my decent weather tarp for weekend outings in my local (central Scandinavian) mountains. Weighs 138 grams without front line, waiting to cut that one until I can do a real test pitch. Snowonher, murpharoo, tom and 14 others like this. What weight dcf did you use? Snowonher and Chip like this. Resin coated dyneema body, hdpe gridstop for the straps and side pockets, dyneema stretch mesh main and shoulder pockets. V2 style stashable 40mm belt. Stretch mesh bottom pocket. Last pack I’m making! Teepee, slovhike, Chiseller and 7 others like this. These are 3D Printed in PLA so are rigid. They add 3mm to the height of the pole. Weight on my scales is 1g, but the slicing software says they use 3g of plastic - either way, they're light. A tenfold increase in surface area, I'm happy with that. If anyone wants a set made, get in touch. Munro277, MartinK9, tallest of pauls and 5 others like this. 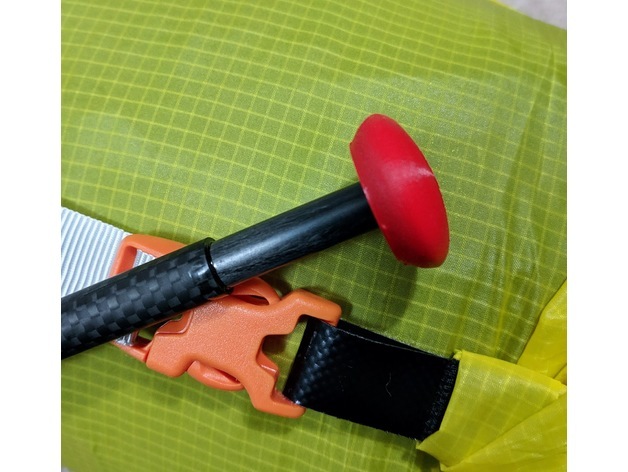 I used a slightly less sophisticated approach to make a protector for my Pacerpole tips to use with my Tramplite shelter. The pacerpoles don't work well handle-up due to the shape of the handles. Table tennis ball + shortened MLD pole extender, with cord fastener. It works well, 19g. UL strap for the nitecore NU25. 31.76g including the headlamp. Munro277 and Gadget like this. It's the batteries that weight ……. . It's got a rechargeable 500 mah battery built in need the USB for my phone/powerbank anyway so that is the full weight. Chiseller, Teepee, WilliamC and 4 others like this. That's already 1/4 of a pack of seaweed you can bring along without feeling guilty. Chiseller, edh, Dave V and 1 other person like this. Just don't let the police catch you with it . Especially if you have odourproof bags as well. Teepee, tom, Dave V and 2 others like this. Tartanferret, theoctagon, Chiseller and 3 others like this. But I couldn’t find that thread. So I use a 1000 SOTO hard anodised aluminium pot. It’s 122g and has a non stick surface. Great for cooking. Two down sides: no lid and awful to drink from. Lid would be £24 (?!?) or MYOG. fits inside both the 1000 and 600 pots as a “liner” and turns the pots into a mug. Stops me burning my lips on the aluminium! The pleasure I got from this discovery is seriously concerning. JKM, MartinK9, Tartanferret and 4 others like this. slovhike, Balagan, WilliamC and 3 others like this. WilliamC and Tartanferret like this.